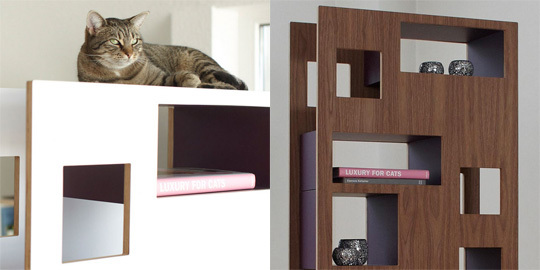 Check out these exquisite cat trees from German design firm Wohnblock! Now this is incredible design! 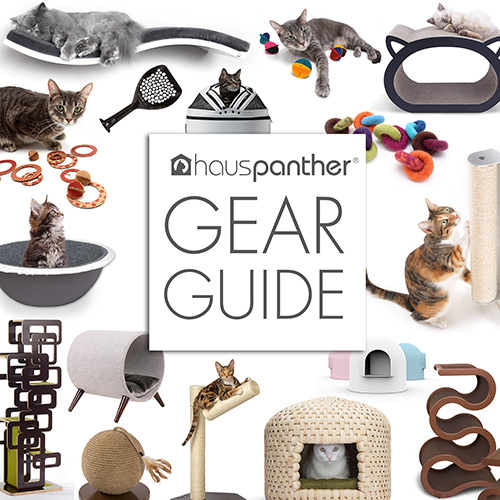 From what I can surmise via Google Translate, Wohnblock was created by designer Oliver Kriege with the intention of synthesizing function and aesthetics to make both cats and their guardians happy. I think he’s achieved his goal because these gorgeous cat trees make me very happy and the beautiful kitties seem to be enjoying them, too. Of course these beautiful and functional objects come with a hefty price tag (in the $2000+ price range), but we can all dream about owning one. Each piece is handcrafted in the Wohnblock studio in Essen, Germany. There are two styles of cat tree currently available, the Retro and the Reading Cat. Both have replaceable carpet pads that come in a variety of colors to match your decor. I’m definitely looking forward to seeing when else this company does in the future. Brilliant & beautiful. Love the beauty and elegance.